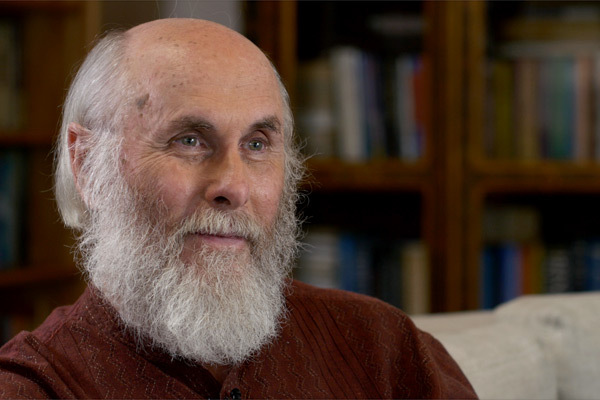 In interview with… David Frawley, founder of the American Institute of Vedic Studies ! Dr David Frawley (also known as Pandit Vamadeva Shastri) is one of the leading ayurvedic experts in the West ! He has written more than thirty books on the Vedas, Hinduism, Yoga, Ayurveda and Vedic astrology, published both in India and in the United States. His work has been recognized both in India and in the West, and in fact, he’s one of the few Westerners recognized in India as a Vedacharya (or Vedic teacher). He’s presently the president of the American Council of Vedic Astrology and the Director of the American Institute of Vedic Studies, and has been bestowed with the titles of Jyotish Kovid and Jyotish Vachaspati by the Indian Council of Astrological Sciences. 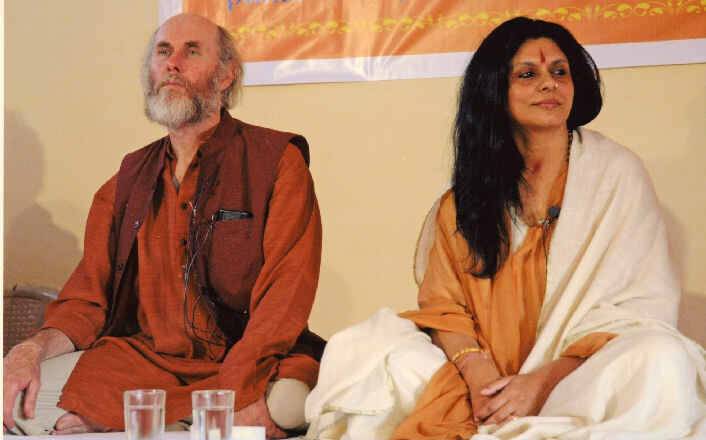 David Frawley is indeed a Vedic teacher (Vedacharya), an Ayurvedic doctor (Vaidya), a Vedic astrologer (Jyotishi), a prolific author, and one of the foremost Hindu scholars of our time. His inspiration and warm personality have won my highest respect and I would like to express my deepest gratitude for the immeasurable amount of knowledge and guidance he has provided me, and all the students around the world. Thank you doctor ! 1. Doctor Frawley, what is the astounding power of Ayurveda ? David Frawley: Ayurveda is the traditional Indian system of medicine that arose out of the philosophy and practice of Yoga some five thousand years ago. It helps us access with the universal consciousness and prana, to bring a greater vitality and awareness into our lives on all levels. Ayurveda brings to us the healing powers of nature, including a number of secret and subtle powers that are not commonly known today. Ayurveda provides us a deep understanding of how foods, herbs and healing therapies work and how to apply these relative to our own unique individual constitution for our optimal well-being. It connects to a science of mind and consciousness as well, letting us breathe with the universal life. 2. Yours books are mainly about self-healing and self-realisation. What are the keys for a simple person to achieve that ? David Frawley: We all need to live in harmony with our own nature and with the world of nature around us in order to manifest our full potential in life. For that to occur, we must understand ourselves and how our body and mind work. The keys to doing this are simple as right diet, right exercise, right breathing, right use of the senses and right use of the mind. Ayurveda and Yoga help us to do this. Bringing consciousness into all that we do is the first step. 3. You are known for your urge understanding of the Vedic wisdom. According to you, is our society (or modern lifestyle) manufacturing depressed people, psychotic disorders ? And if so, by which ways can Ayurveda heal our minds ? David Frawley: Depression is very common today among all age groups. It is a side-effect of our lives of excessive stimulation through the mass media, internet, entertainment industry, drugs, stimulants and junk food, which tend to burn out the nervous system in the long run. To counter this state of depletion from which depression arises, we need to cultivate natural food, time in nature, meditation, relaxation, inner peace and special herbs to nurture the mind and heart. Ayurveda and Yoga provide us with these. Ayurvedic and Yoga psychology teaches us how to use aromas, colors, mantras and healing sounds, and special meditation techniques to heal and rejuvenate the mind. This is the Rasayana or Rejuvenation approach that I discussed in detail in my book Soma in Yoga and Ayurveda: The Power of Rejuvenation and Immortality. 4. So tell me, are Vedic Wisdom and Modern Times compatible ? If so, how? David Frawley: Vedic wisdom aims at the eternal, which is the cosmic intelligence at the ground of life. In modern times we are caught more in the transient, the daily news and constantly changing outer forms of entertainment and enjoyment. Yet all of us seek something more enduring as well. For long term well being, we must respect that our bodies as a creation of nature can only be healed by a life that honors nature’s rhythms and movements, and which brings in nature’s healing powers. Natural healing and deep ecology are ways in which the modern world needs Vedic wisdom and can benefit from it. Unless we first create a sustainable economic system, which includes a sustainable system of medicine, major difficulties are quite likely and our existing world order may be threatened. Yet such changes must begin with a sustainable way of life and consciousness for each one of us at an individual level. 5. More generally, what are The Vedas ? David Frawley: The Vedas as texts are collections of mantras from the ancient Himalayan seers or Rishis, unfolding the inner meaning of the forces of nature. These texts are very archaic and hard to understand, and usually only available in poor or misleading translations for those who do not know Sanskrit. The Vedas represent at a deeper level our connection with the cosmic mind, which follows the language of mantra. Yet the Vedas as texts are based upon the unlimited Vedas who are the wisdom of the spiritual heart that each one of us can access in meditation. Note my book Vedic Yoga: the Path of the Rishi in which I discuss the nature of the Vedas and their relevance in detail. 6. I’d like to ask you here, why should we read the Vedas, and why certain people will never understand the Vedic philosophy? David Frawley: The best access to the Vedas is through the Upanishads, Bhagavad Gita and Yoga Sutras. The older texts are much more difficult. Of these Vedic texts, the essence is said to be the mantra OM. You can chant OM to connect to the Vedic vision. A longer Vedic mantra that is helpful is the Gayatri mantra. To understand such spiritual wisdom requires some degree of receptivity both to the teachings and to one’s own deeper Self-nature, which is not easy for people today. Yet it is something we must come to in the long run and is actually the goal of our soul journey through many lifetimes. 7. Could you explain the concept of Maya (or illusion) applied to the 20th Century ? David Frawley: Our senses only show us a part of reality, not the reality itself. We all learn from a young age that things are not always what they appear to be. Even we discover that people are not always what they appear to be. So we gradually learn to look beyond appearances to a deeper reality. The mass media provides us an even broader set of misleading appearances through advertising, propaganda pieces and carefully staged news and programs. I call the mass media, the Maya of the Maya. We all know that we cannot trust something as true just because it occurs on a screen. To understand the inner truth, we must look beyond and behind these shifting appearances, to the energy and awareness that can never be limited to any form. That is the beginning of our understanding of the cosmic reality. Then we will no longer be deceived by appearances. 8. Doctor, as a spiritual pioneer, how do you explain the role of spirituality in health care? David Frawley: Health and well-being eventually much rest upon inner peace. Inner peace is only possible when we have some spiritual orientation and practice in life. Spirituality in health care means consciousness in health care, being aware of who we are, what we are doing, and what forces are there in our environment that we have to work with. Consciousness brings in true caring to the therapist and the willingness to heal into the patient. Wherever there is consciousness prana flows and rejuvenation becomes possible. Dr. David Frawley D.Litt. 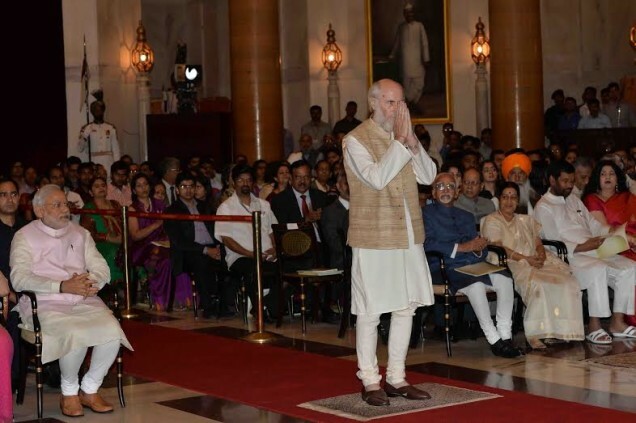 (Pandit Vamadeva Shastri) on March 31, 2015 received the prestigious Padma Bhushan award from the government of India, one of the highest civilian awards granted in the country. 9. There is confusion between faith, religion and spirituality in contemporary society. Then, do you think that spiritual growth is the challenge of Modern times ? David Frawley: By Faith is usually meant a belief in something miraculous or unseen. Religion for most of us is a set of beliefs that we accept to a great extent on faith. Spirituality is an inner pursuit of truth and higher awareness through Yoga and meditation. It helps us experience the truth for ourselves through our own deeper awareness. Faith and religion are meant to lead us to spirituality. Otherwise they can be misleading and only get us caught in names, forms and dogmas, not an experience of the truth of life. The essence of spirituality is Self-knowledge which is discovering our oneness with all. Today spiritual growth is very difficult because we have so little time and our minds are so busy, preoccupied and distracted with the complexities of our modern lives. Certainly we can all grow spiritually but we must be willing to take the time and make the effort to do so. It will not come to us just because we would like to have it. Like anything important in life, it requires a dedicated pursuit on our part. Previous In interview with… Mohsin Ali Khan, indian spiritual musician ! Next In interview with… Mona Saroya, Kundalini Yoga teacher !